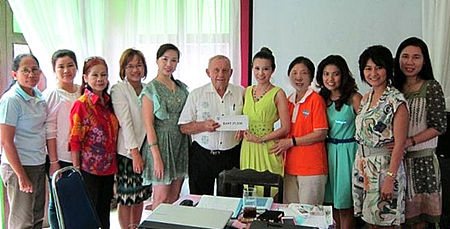 At a recent meeting of the YWCA at Diana Garden Resort, Jesters Care for Kids’ Project Advisor Bernie Tuppin presented Praichit Jetpai, President of Pattaya YWCA, with funds to support a combined project. 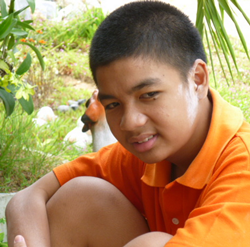 This project is to give dental care to the children of Khao Baisri Special Education Centre for disabled kids in Plutaluang. The initiative for this undertaking came from YWCA who enlisted the help of the dental staff at Bangkok Hospital Pattaya to travel to the facility and examine the dental health of some 40 children, 17 of whom were found to require treatment. Bangkok Hospital Pattaya has kindly offered to carry out this treatment at a hugely discounted rate and to provide free checkups at 3 monthly intervals in the future. Boonchu of the Khao Baisri centre and the YWCA will undertake the travel arrangements and the Jesters will pay for the treatment of 27,500 baht. This is another fine example of concerned groups working together to assist the underprivileged. The Jesters Care for Kids are proud to be involved and thank all the other participants for their efforts. Please remember that the Jesters’ main events in Pattaya are coming up fast: The Children’s Fair, Sunday, September 9th and Gala Party Night Saturday, September 22nd. 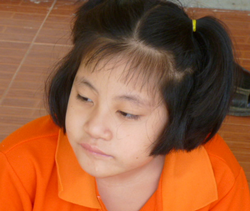 Children at the Khao Baisri Special Education Centre for disabled kids in Plutaluang are now receiving dental care. Jesters Care for Kids’ Project Advisor Bernie Tuppin presents Praichit Jetpai, President of Pattaya YWCA, with funds to support this combined project.